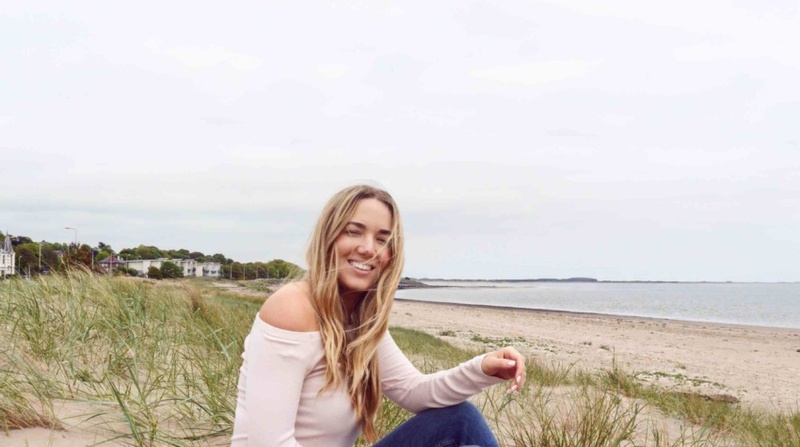 Scotland is a bucket list destination for people all over the world, and until recently I have completely taken its close proximity to England for granted. My recent solo adventure to Edinburgh and Dundee made me fall in love with the charm of Scotland and had me hankering to return. So I did. My return trip came in the form of a mini break to St. Andrews, which was part of the exciting Scotland:Life with VisitScotland. St Andrews is small but mighty town that puts Scotland on the global map for more reasons than one. I’m a small town girl at heart, so I thought the scale and intimacy of St Andrews was perfect for our 3 night trip. 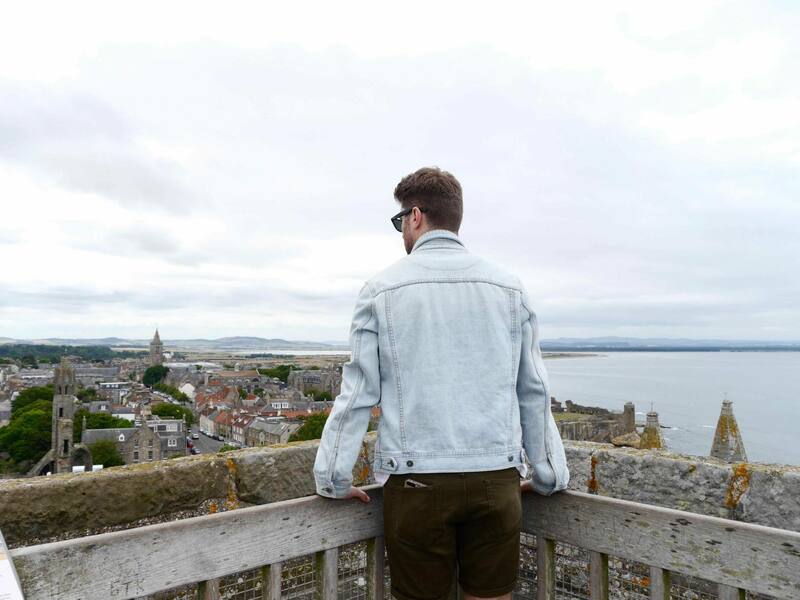 Find out what we got up to and how to plan your own visit in this mini break guide to St Andrews. 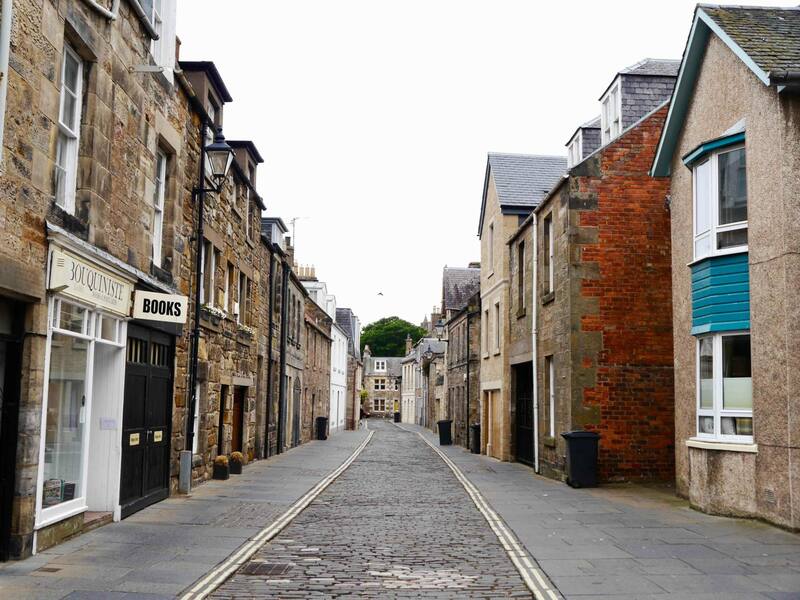 St Andrews is a small and historical town in Fife on the east coast of Scotland. Its internationally known as ‘the Home of Golf’ and attracts players from all over the world to play on its courses. The most famous of all is The Old Course which is considered the oldest golf course in the world. St Andrews is also famous for its prestigious University, which is Scotland’s oldest and the third oldest in the English speaking world. The town gained more global recognition when Prince William chose to study there in 2001. St Andrews is where the love story of Kate and Wills began and some (not so subtle) reminders can be seen around the town. Other than driving, the best way to get to St Andrews is by train. The closest train station to St Andrews is Leuchars. From Leuchars, you can hop on a bus to St Andrews which takes about 10 minutes and drops you off at St Andrews bus station (very central). St Andrew’s closest major city is Dundee (a 12 minute train ride to Leuchars) and Edinburgh isn’t far either (a 1 hour 15 minute train ride to Leuchars). We travelled from Leeds to Leuchars on Cross Country’s direct service which was incredibly convenient. 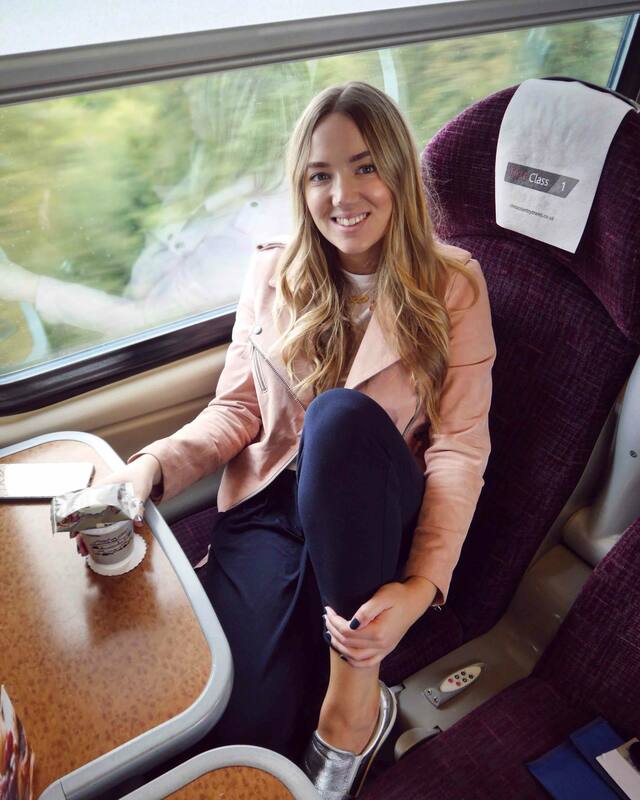 The journey took 4 hours and 15 minutes but once we were on board we were able to just switch off and enjoy the Cross Country First Class experience including the free Wi-Fi, spacious seats, unlimited refreshments and hot meal menu. 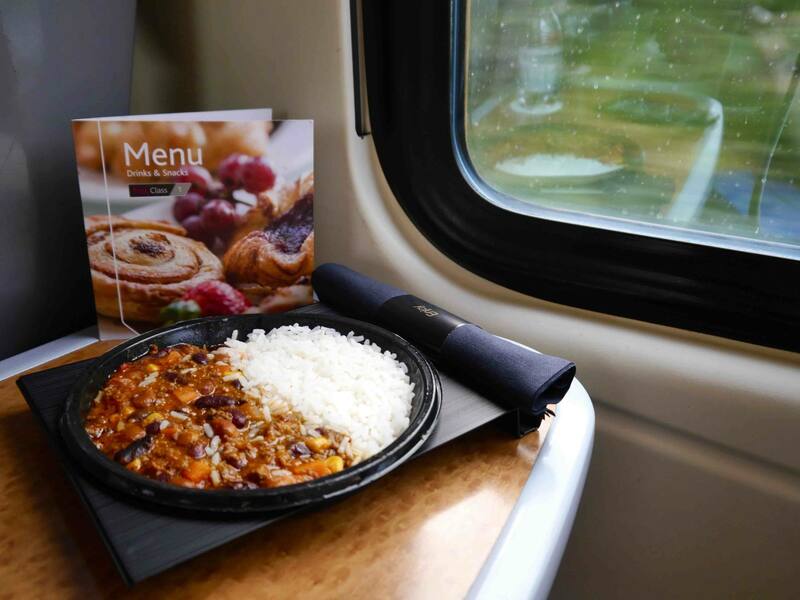 It was the first time I enjoyed a hot chilli con carne on a train and I was seriously impressed. Beyond the golf and the University, there is so much to see and do during a mini break to St Andrews. Based on what I had planned for my own time, here is a round up of the top things to do in St Andrews. 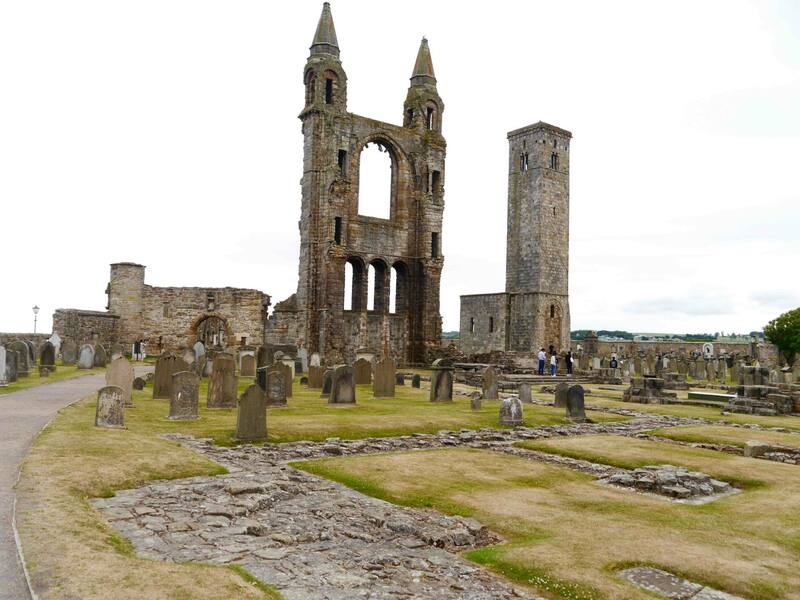 St Andrews Cathedral is a great starting point for your mini break. Walk towards the cathedral via Market Street and wander the historical ruins and tombstones. I did find it a bit confusing at first as I was looking for a large Cathedral-like building, but the cathedral is actually now in ruins (understandable seeing as it was built in 1158). The cathedral grounds are free to enter but its worth paying to climb St. Rules Tower for incredible 360 degree views of St Andrews. It will help you get your bearings and show you the lay of the land. 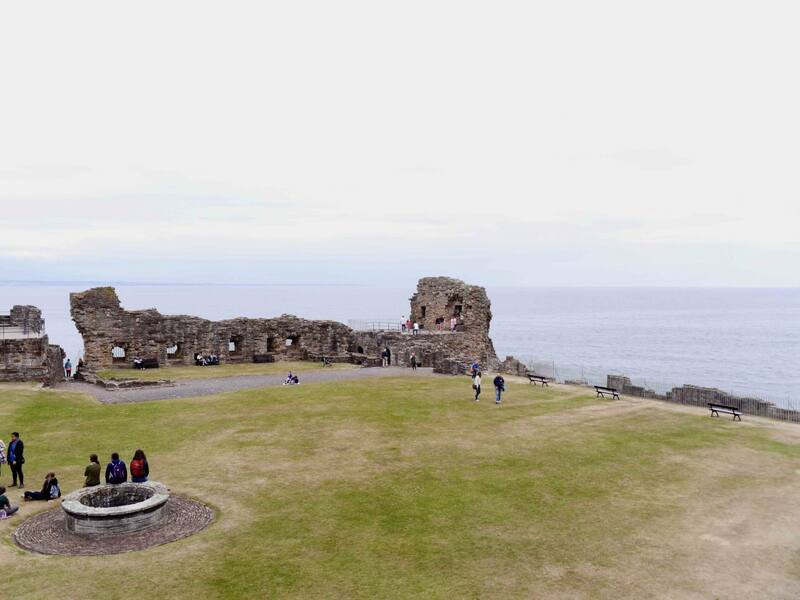 From St Andrews Cathedral, head straight for St Andrews Castle via the pretty coastal pathway. 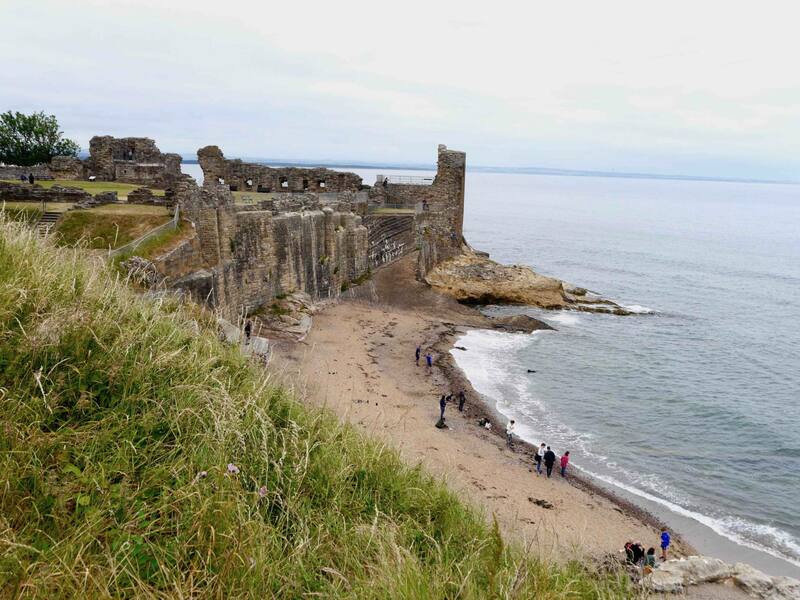 The castle itself is right on the coastline and overlooks a small beach called Castle Sands. 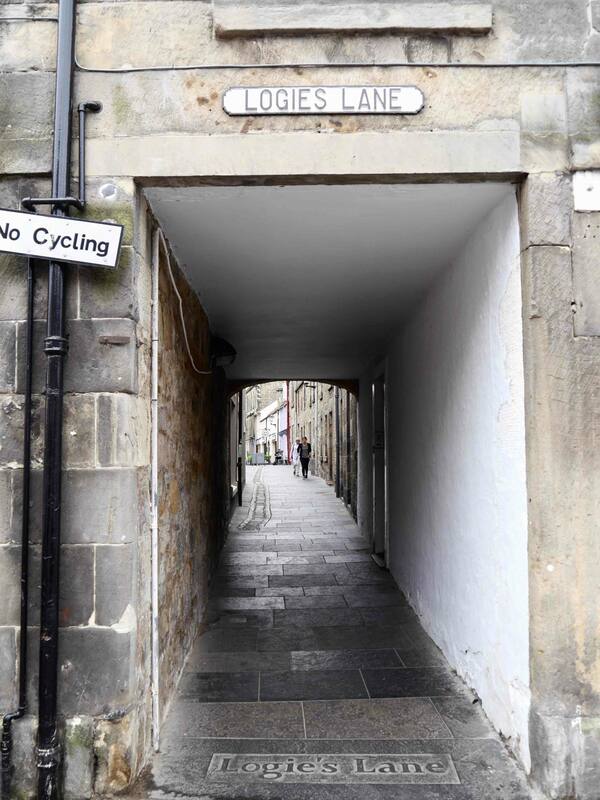 Don’t miss the fascinating secret tunnel that lies under the castle. The tunnel is part of the historical Siege of St Andrews Castle when it was under attack in 1541. 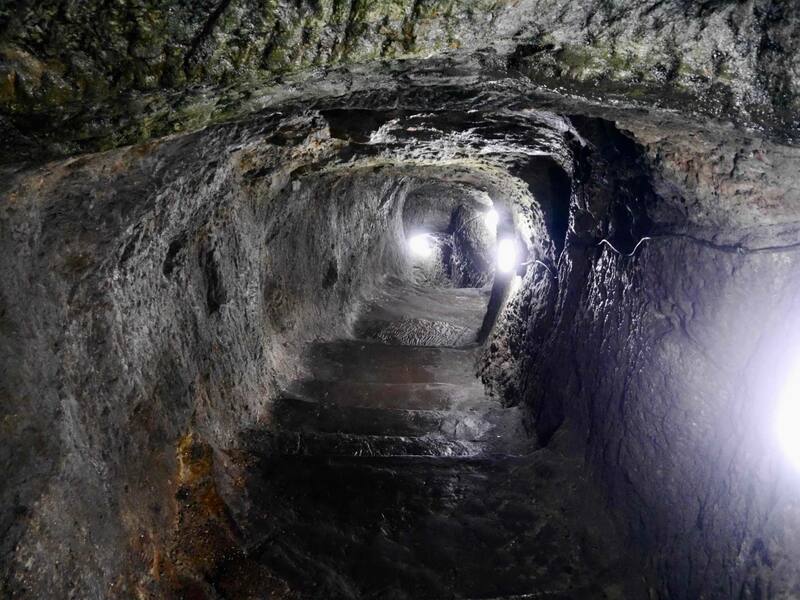 Part of the tunnel was built by the attackers, and the connecting counter-mine was built by the defenders. Chances are you’re going to be doing a lot of walking and exploring during your time in St Andrews, so be sure to schedule some relaxation time at Kohler Waters Spa. 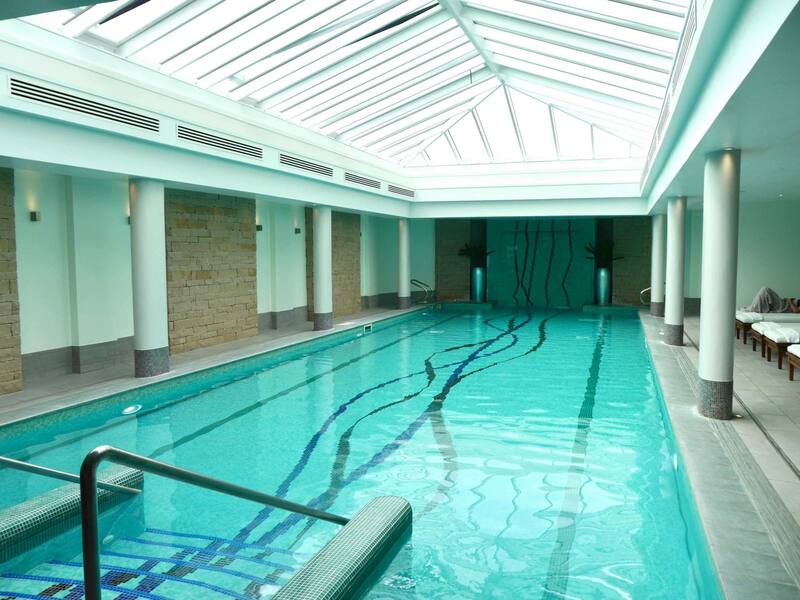 The spa is situated within the famous Old Course Hotel, but the spa welcomes non-residents too. You could simply book in for a spa day to enjoy the many facilities or choose from one of the heavenly treatments on their spa menu. Be sure to schedule in a bit of time to just ‘roam the streets’. There are plenty of boutique shops to pick up cute souvenirs and if you’re anything like me, you will love the colourful doors and pretty chocolate box cottages around every corner. 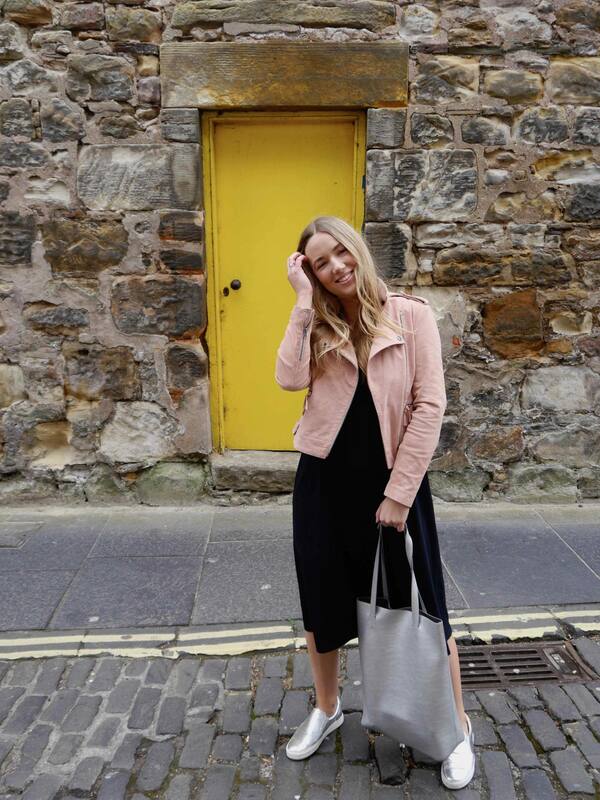 The streets of St Andrews are wildly Instagrammable and I couldn’t stop taking photos! 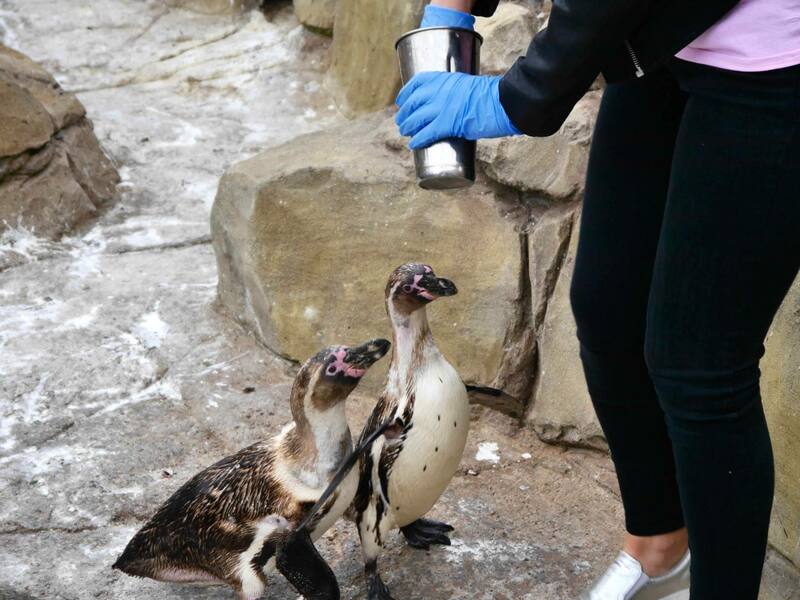 Animal lovers could plan in a visit to St Andrews underground Aquarium, which is located right on the coastline close to West Sands beach. Their resident family of sea lions live in large sea water chambers right on the beach. 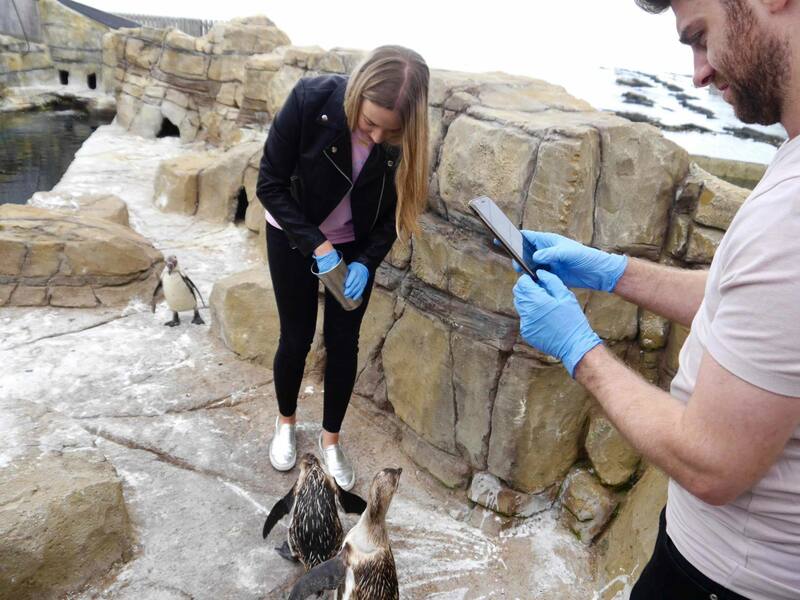 The aquarium offers feeding time experiences with the penguins and sea-lions, which include free admission to the aquarium. Booking feeding time experiences in advance is essential. 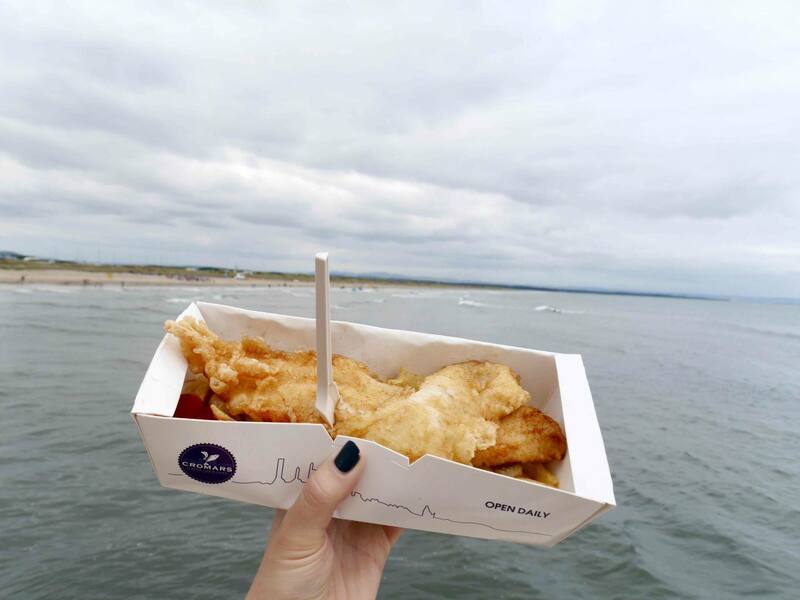 I don’t know about you, but I find it impossible to visit the coast without craving some good old fish and chips. I tweeted recommendations for the best fish and chips in St Andrews and lots of people mentioned Cromars. You can either eat in or take away, but we chose to take away and enjoy an al fresco lunch overlooking West Sands blue-flag beach. Watching the surfers take on the waves was great lunchtime entertainment. 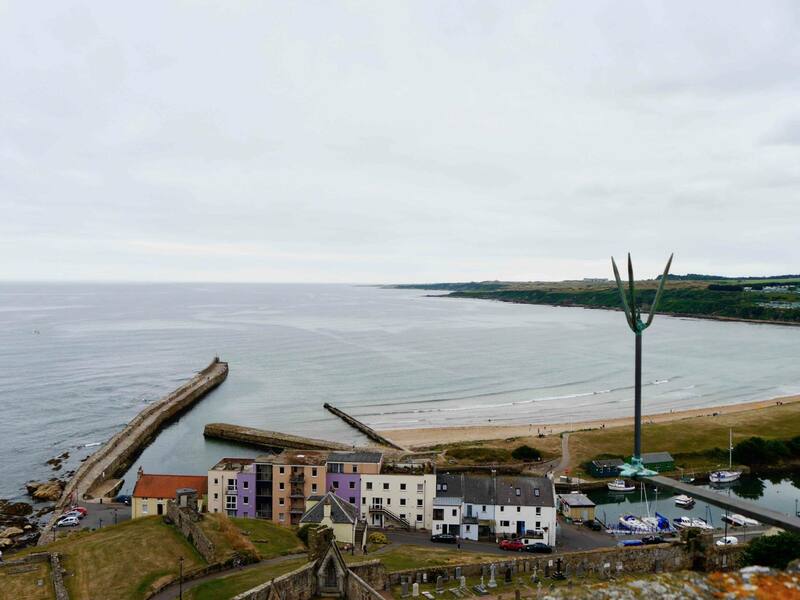 For a true taste of Scotland, head out of town to Kingsbarns Distillery and Visitor Centre. 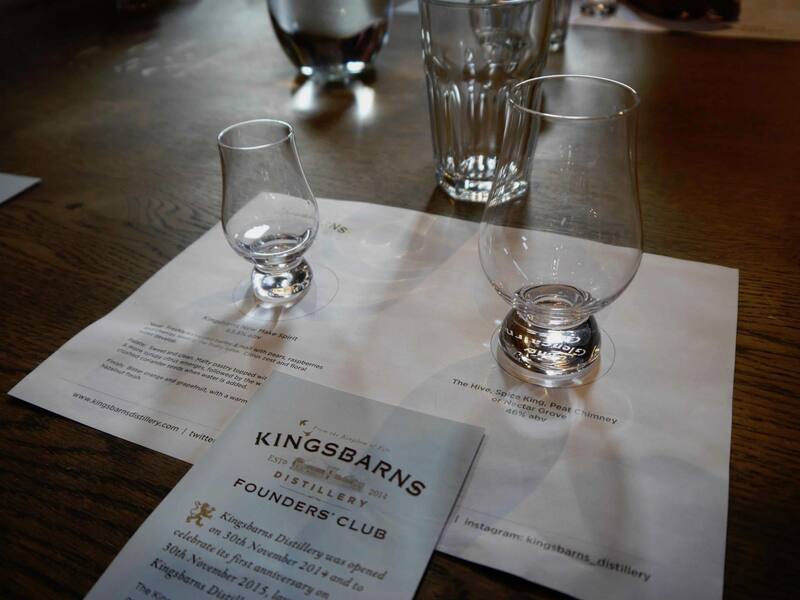 There are 3 different tours you can book on to, suitable for all levels of whisky interest. They also run tours of their new Darnley’s Gin Distillery. 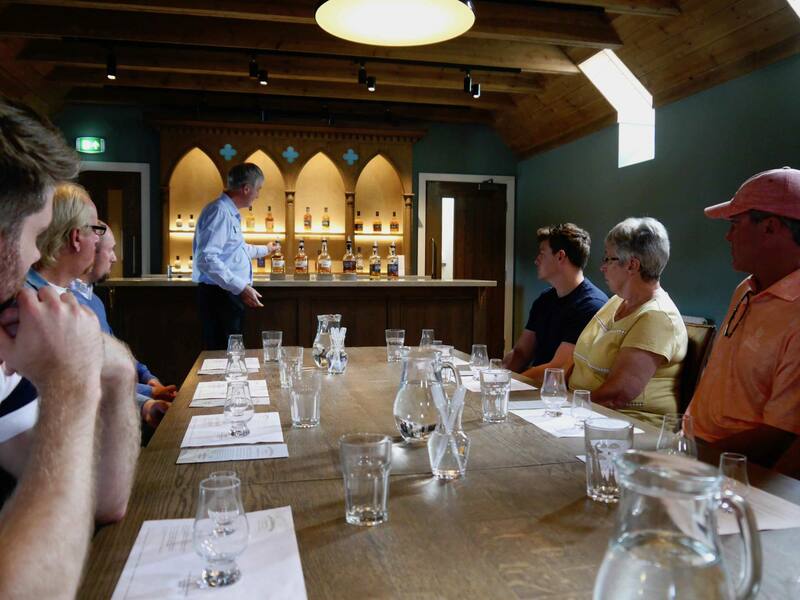 The tours range between 1 and 2 hours and all include a tasting in the distillery’s elegant tasting room. You can browse tours here. If you’re a keen golfer, it goes without saying that you’ll probably look to squeeze in a few rounds of golf during your time in St Andrews. But even if you’ve never picked up a club in your life, you can still feel part of the sporting action. The Old Course is located right on the edge of town and is public, so you can walk through the pathways and enjoy being a spectator. There’s also the ‘Himalayas Putting Green’, where you can have fun and experience some golf on The Old Course with absolutely no experience needed. Playing The Himalayas costs £2 per round. 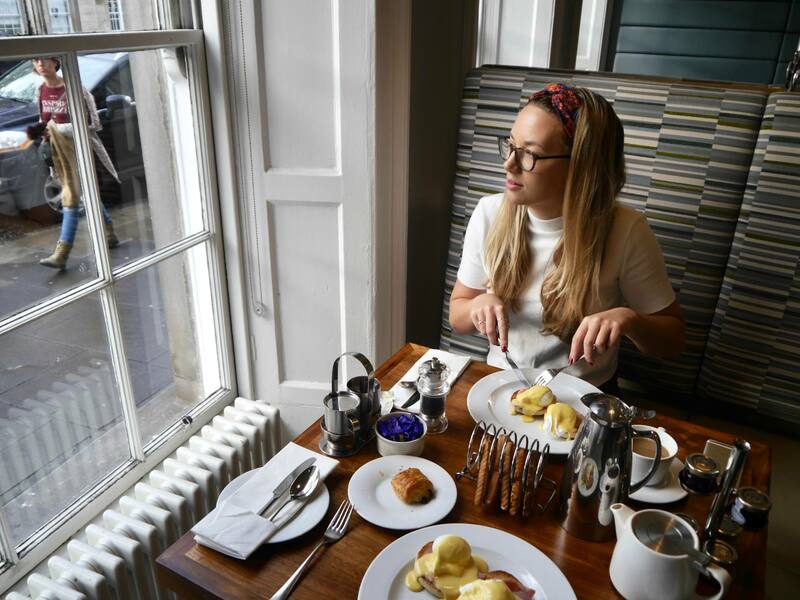 I was lucky enough to be given some top foodie recommendations from VisitScotland for my trip to St Andrews, all of which turned out to be fantastic. 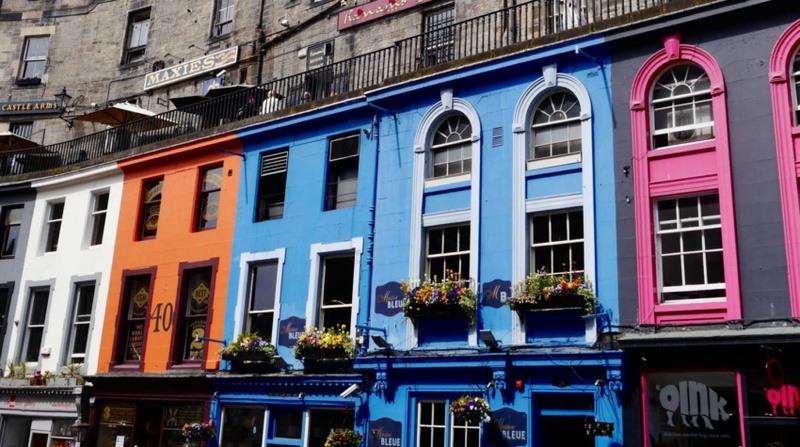 Now I am glad to pass these on and add them to this guide to St Andrews. 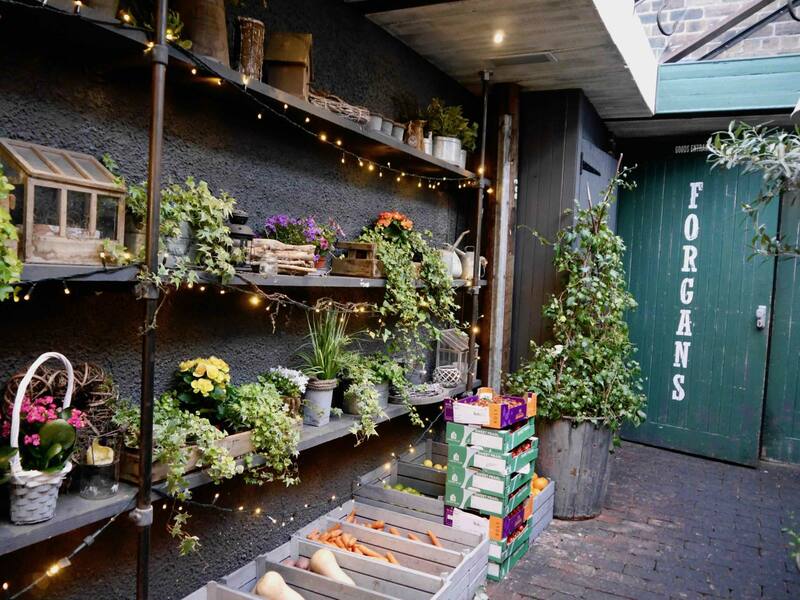 Forgan’s is a St Andrews hot spot that is tucked away down an unassuming alley on Market Street. Once inside you’ll be pleasantly surprised by the sky-lit industrial chic restaurant, which has both style and substance. I treated myself to a beef bourginon which was full of flavour and melted in the mouth. This restaurant prides itself on serving up local Scottish produce and has a creative menu of both local and global dishes. The Adamson is a classic brasserie with stylish interiors and attentive staff. The menu is creative and contemporary, with daily specials too. 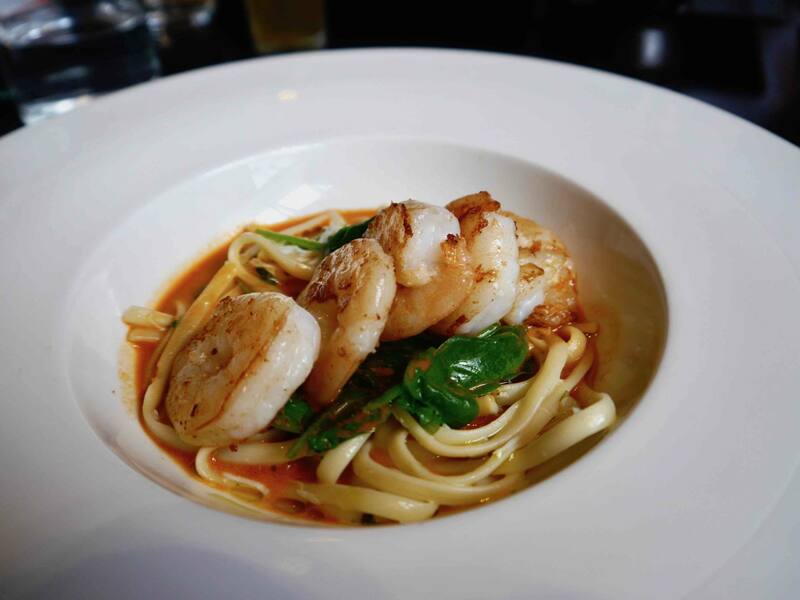 I had an incredible butternut squash soup with chilli and coconut milk, followed by a delicious seafood linguine. The seafood linguine was delicious, I only wished there was more of it. 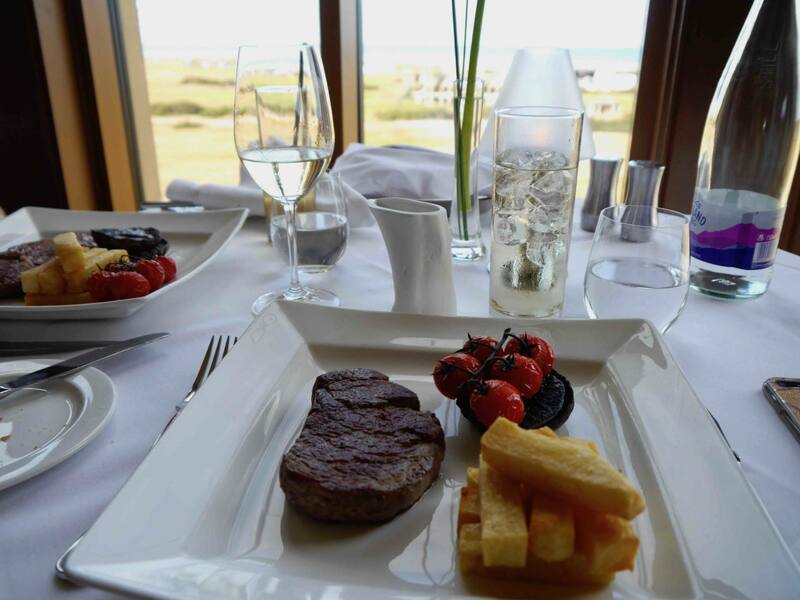 For something extra special, head to the Road Hole Restaurant at The Old Course Hotel. 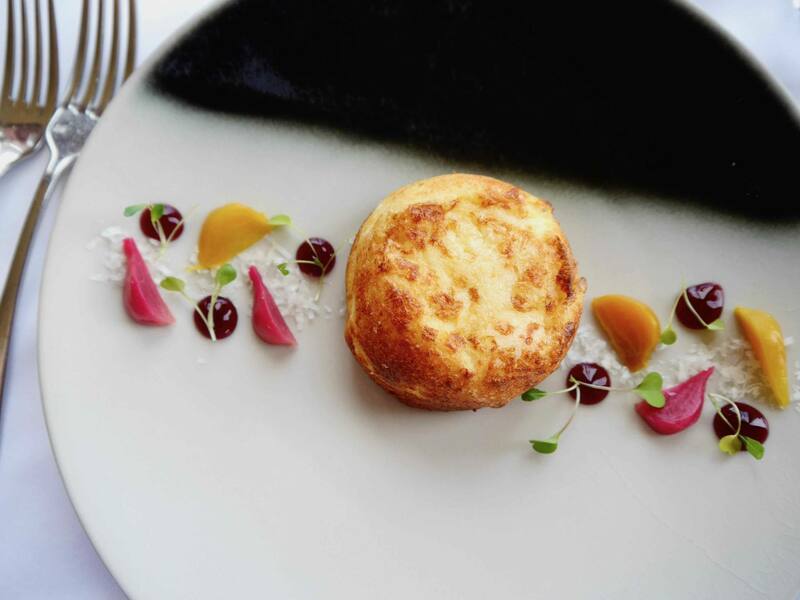 This 3 AA Rosette awarded restaurant is the epitome of fine dining and top service. The menu is thoughtful and refined and the waiters and sommeliers will go to the ends of the earth to tailor everything to your exact needs. My starter was a phenomenal cheese soufflé (the best I’ve ever tasted) followed by a succulent fillet steak. Located on the top floor of the hotel, you can expect a side of spectacular panoramic views with your meal. I’d recommend arriving a little earlier than your reservation to enjoy a drink or 2 in the connecting Road Hole Bar to make the most of the experience. Booking a table here is also a great chance to experience the Old Course Hotel and to see the famous golf course from a different perspective. B&Bs seem to be the accommodation type of choice in St Andrews and you’ll notice they’re practically on every street. But there are also a range of hotels ranging through from budget to boutique and luxury. Here are my top suggestions. This was the B&B we stayed in during our trip to St Andrew and we had a wonderful experience. In true B&B style, our host Elaine was so welcoming and personal. She made us a cooked breakfast every morning and there was also a lovely breakfast spread of fresh berries, juices, yoghurts and granola. Our room was clean, spacious and comfortable and the location on Doubledykes road was in walking distance of the whole town. 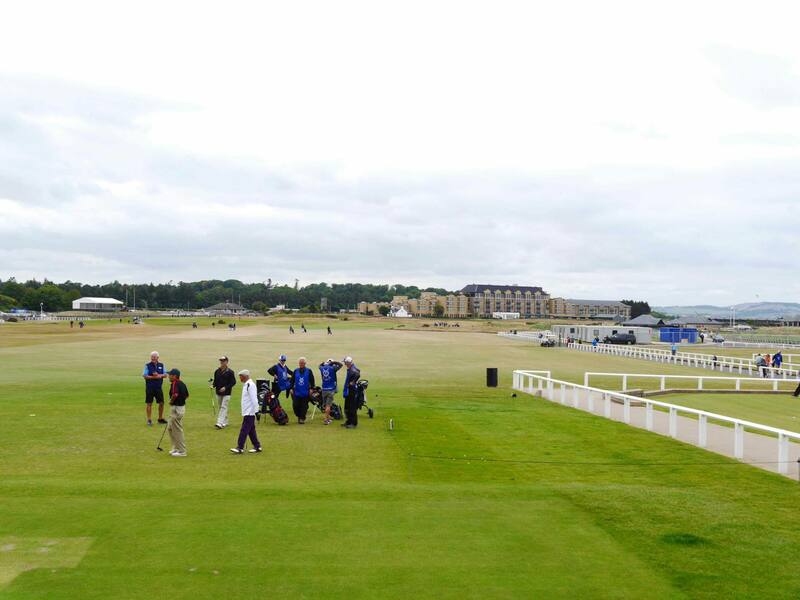 It felt like a home away from home and really enhanced our St Andrews experience. Read Reviews on Trip Advisor // Book Now. This was one of the other hotels on my shortlist for St Andrews. It’s a 5 star boutique hotel right in the centre of town. I love the look of the interiors and the location is super central. Read Reviews on Trip Advisor // Book Now. 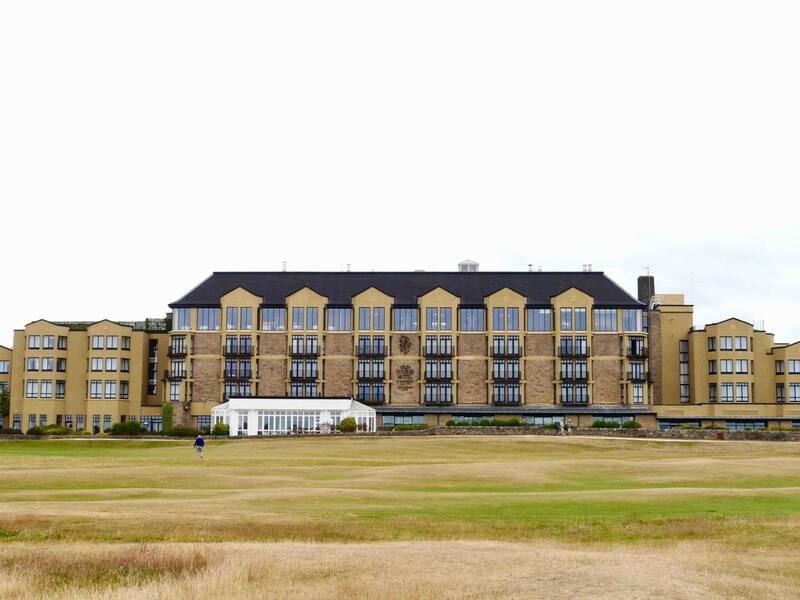 For the ultimate St Andrews experience, why not stay at The Old Course itself? 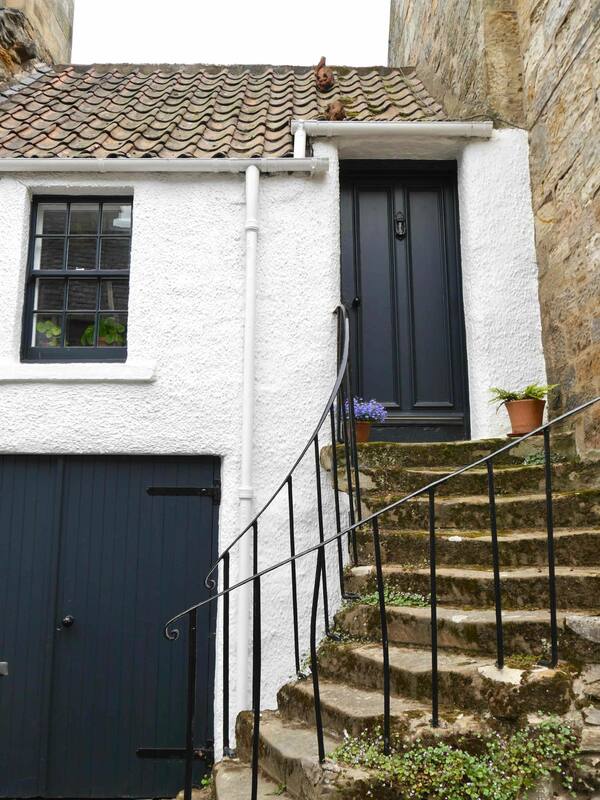 It’s easily the most famous address in St Andrews and has everything that the most discerning of guests could need. From my experience of The Old Course Hotel, a stay here would be second to none. Read Reviews on Trip Advisor // Book Now. This guide to St Andrews post has been created as part of a paid collaboration with Visit Scotland as part of their Scotland: Life campaign. All views and images are my own. I used to live in Scotland and never went to St Andrews, I probably should go at some point because it looks better than I thought! Also didn’t realise there are direct trains from the North of England! I used to think St. Andrews was just golf! Clearly not as it looks like the perfect mini break destination. Especially love the look of the hotel you stayed in! Beautiful shots – makes us want to book another flight to Scotland! I’d love to see more of Scotland. I’ve been to Edinburgh once and that’s it.